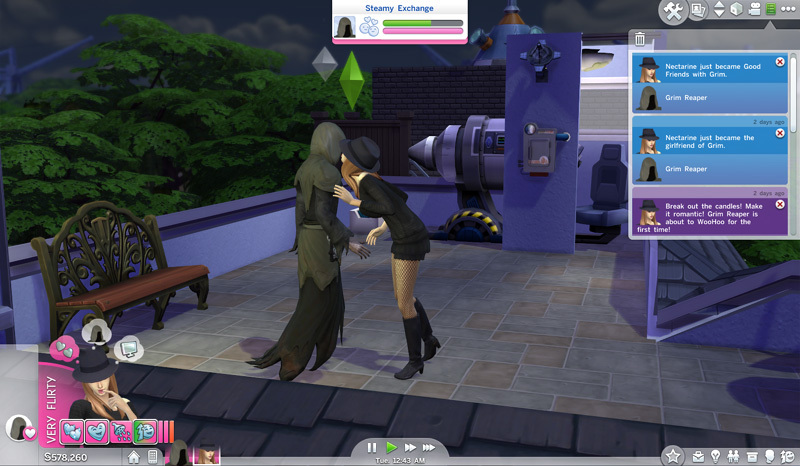 You can add Grim Reaper to your household with testingcheats on (after he does the reaping thing and can be chatted with). He has a random Aspiration and no traits, skills or career. 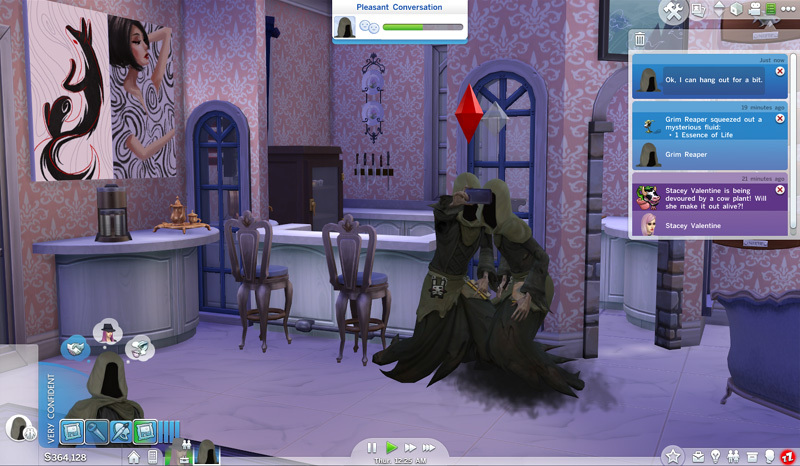 If you enter CAS – or use a gallery sim – his Grim voice will be replaced with a normal sim voice and his name will disappear. 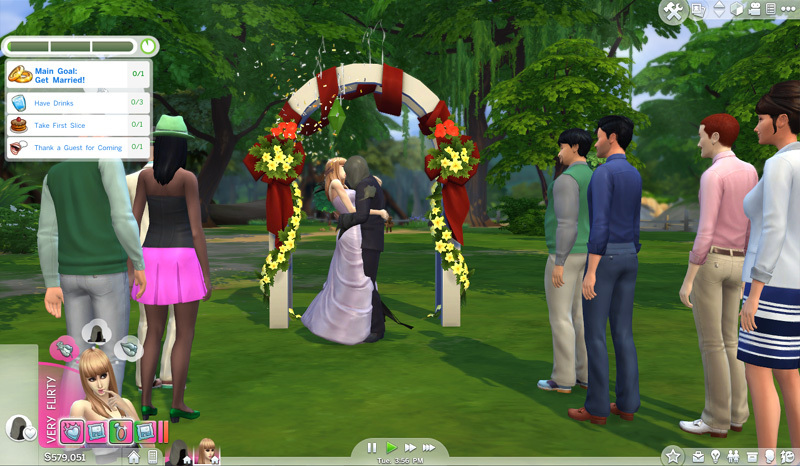 This happens even if you enter CAS with a different household. You cannot enter CAS in that saved game and keep his voice. His motives will be frozen, except for Fun. Once you reload, his motives will decay, and he will lose the special float walk and the smoke effect. I’ve added him to the Gallery under Origin ID noctalis. To search by Origin ID, use the pulldown menu next to the search bar. I gave him the Reaping skill; which does nothing. I had to give him traits in order to save to the gallery. Use traits.clear_traits if you want. 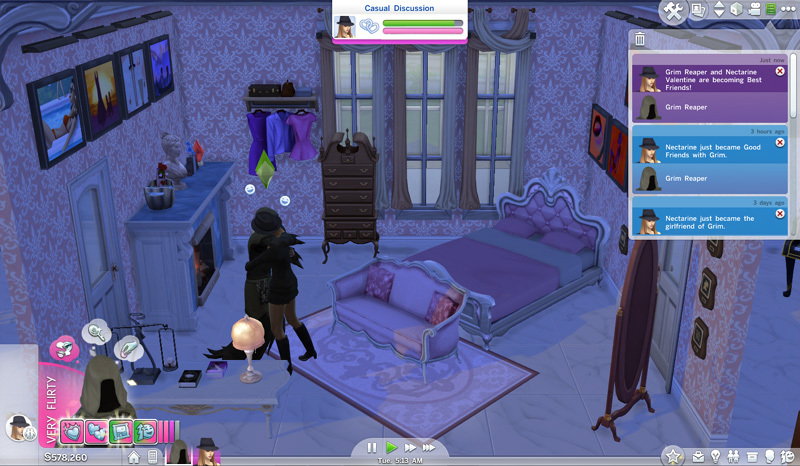 You can WooHoo and Try for Baby normally, but sleeping clothes are a problem. 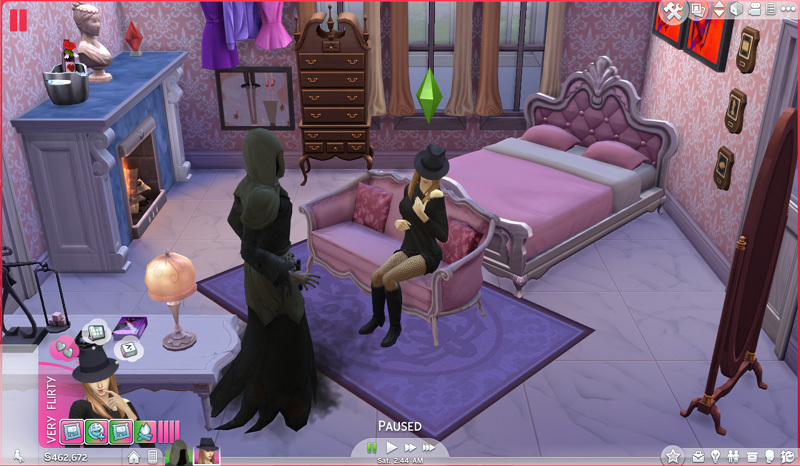 If another sim dies, a new Grim will spawn. Which is less buggy then when I had Grim hang around after a reaping and not leaving even after days. 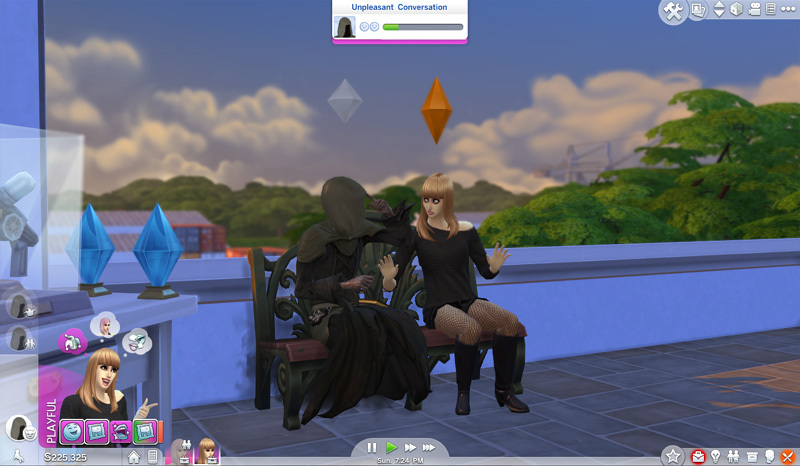 When another sim died, no new Reaper turned up and the one on the lot didn’t reap. My Cowplant was stuck in the interaction for hours. The Tombstone only appeared after I Reset Object on my Cowplant. Can Grim die? Yes, yes he can.